Choose 50 or 100 stalks. 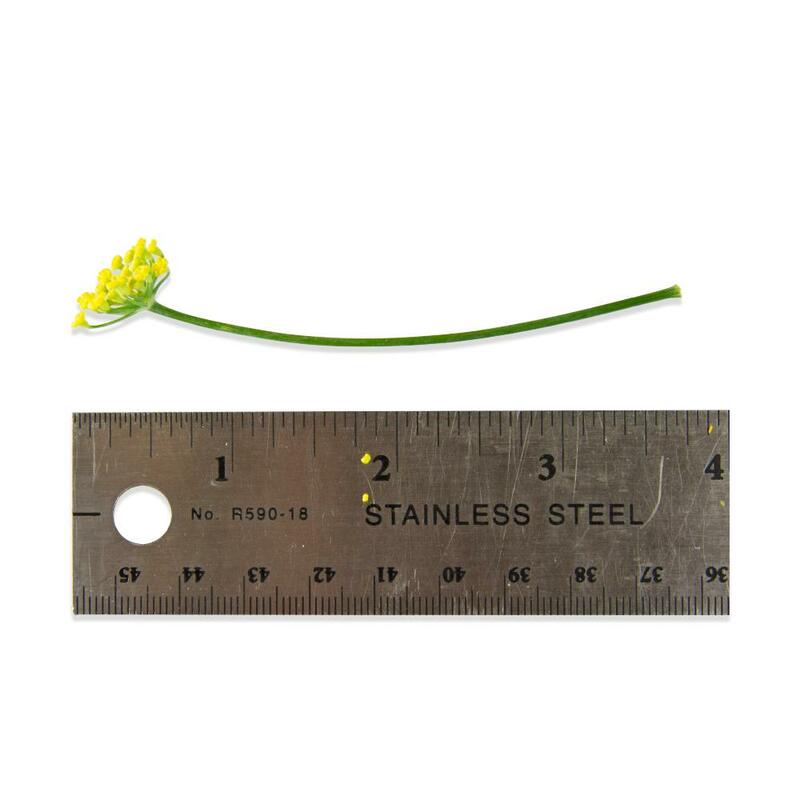 Fennel flowers are wide bunches of tiny yellow blossoms atop long green stalks. 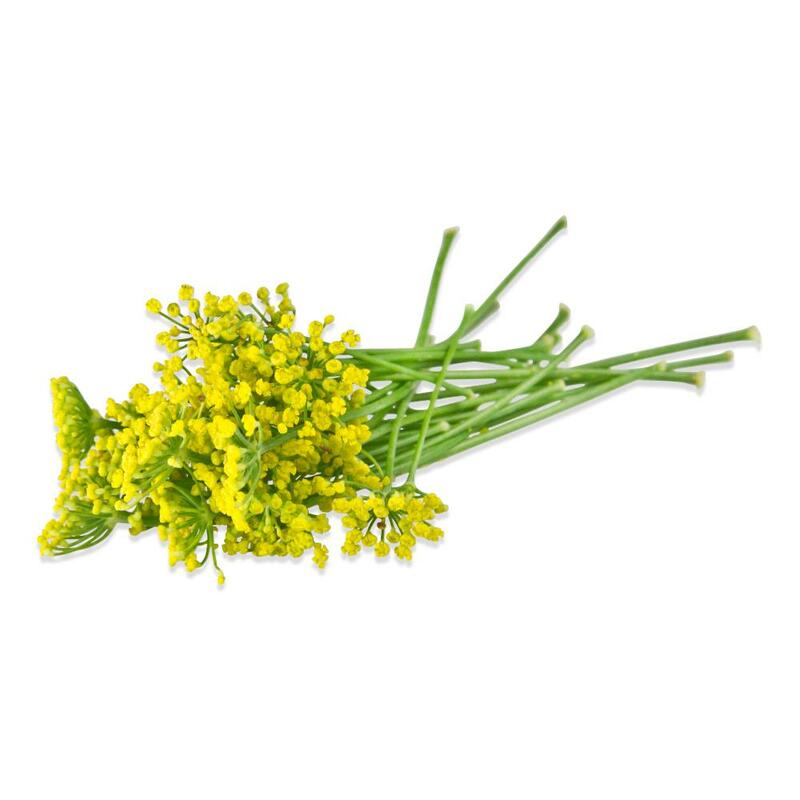 Fennel flowers and stalks have a strong, delicious sweet fennel flavor evoking licorice. The flowers are very tender. The stalks are very flavorful, but won’t break down completely if chewed, so it may be better to remove them for some applications. Removed from the heavier stalks, the petal bunches float well in liquids. 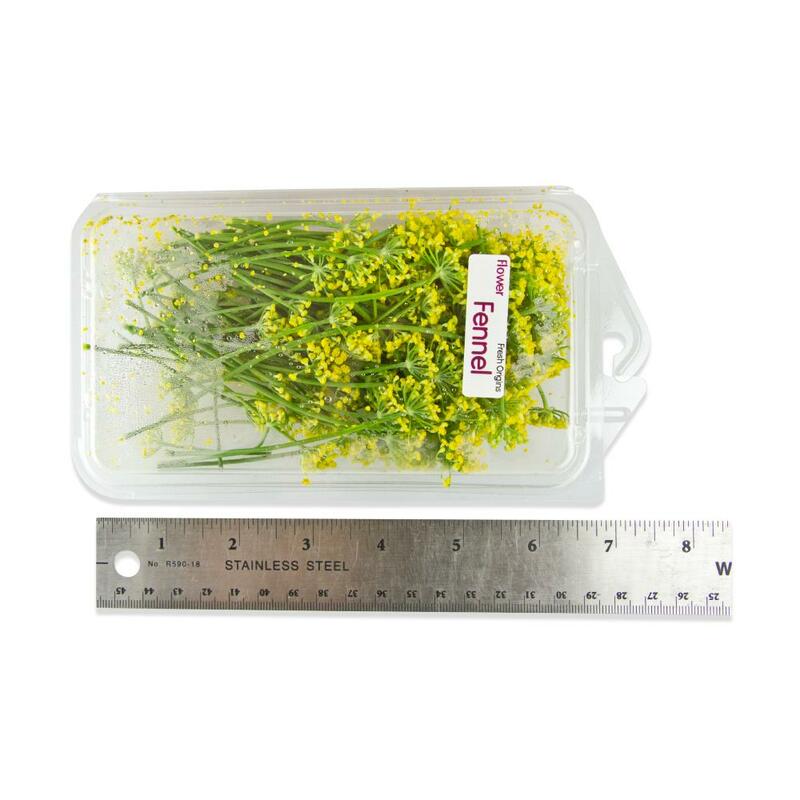 Store fennel flowers in their plastic clamshell in your refrigerator. Removed from their stalks, fennel flowers make a beautiful, flavorful garnish for cocktails, beverages and sweet or savory dishes. For savory applications, try pairing them with seafood, lamb, wild boar, pork or poultry. Because the stems can be a little tough, we don’t recommend using them whole in food as an ingredient, but they could perhaps be minced or blended to break them down or muddled/steeped to extract flavor and then strained/picked out before serving.